Hullo, everyone! 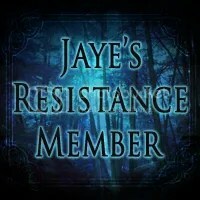 I’m here today with an author interview with Jaye L. Knight, in celebration of the release of book 4 in the Ilyon Chronicles!!! I’ve sadly gotten a little behind in this series, but I’m looking forward to catching up at some point in the future. 😀 On to the post! been your favorite to write? write at one time or another. can’t help getting a little bit tired and looking toward the finish line. What is one piece of writing advice you would like to give to young aspiring authors? worry what that first draft looks like. Where do you get most of your story, plot, and/or character ideas? many other things. I can pick up bits and pieces of ideas from just about anywhere. would you want with you? Why? This was such a fun interview to do! I had no idea about all the different shows and books that inspired the Ilyon Chronicles! Dorland from becoming Daican’s latest conquest. location of Trask and the Resistance once and for all. forces at work, it might not be that simple. Haven’t discovered the world of Ilyon yet? Find out more at the official Ilyon Chronicles website! Plus, the first three Kindle books are on sale August 11th – 14th! You can find them on Amazon. age of eight and resides in the Northwoods of Wisconsin. opener! (Giveaway is open to US residents only. Cannot be shipped internationally.) Check out the giveaway here. Are you guys excited for the release of Exiles? What did you think of the author interview? Comment below with your thoughts! Winner of the IDIA Fan Creations Contest! Hullo, everyone! The IDIA Fan Creations Contest officially closed on Monday, which left me with the difficult task of… deciding a winner. I have absolutely loved seeing all of you guys’ creations, and it was so hard for me to just choose one winner. All of the submissions were so awesome, and I got so excited every time I got a new submission. 😀 So I thought I’d share all of the submissions with you before announcing the winner. I’m putting them on here in the order that they were submitted. Enjoy! These are officially the first character drawings done for the IDIA series! Eeeep!!! 😀 I was so excited to see these! Jemma did a great job, and I love how the clothing reflects the characters and is pretty much exactly what the characters would wear (especially Albany’s Flash shirt). Aren’t these so amazing??? They look exactly like I pictured them. Plus, the perspective on the picture with Maddie is so cool! These are so amazing!!! Shay and Sharah did amazing on these pictures! “Day job: Teenager”. 😀 Also, I love that comic book cover that they made. It looks so cool! Elizabeth with her drawing of Blaze! This was seriously so close! But I absolutely loved this drawing that Elizabeth did (as well as the one of Maddie 😀 ), and this is exactly how I pictured Blaze! Great job, Elizabeth! I’ll be contacting you about your prize shortly. What do you think of the fan art? Would you want to participate in another contest like this? Comment below with your thoughts!!! Hey, peeps! Blaze here! So today is the last day to submit your creations for the IDIA Fan Creations Contest, so make sure and fill out the submission form before midnight tonight! We’ve received some awesome submissions, and I think C.B. is dreading picking a winner, with so many amazing creations to choose from. So, in my last post, I talked about the life of a superhero, and in the comments, Sarah suggested that I give my advice for just-starting-out heroes. I thought that was an absolutely brilliant idea. So I present you with my amazing advice for new superheroes! Explore your abilities. Not only is it fun to explore your powers, it can also come in handy when you’re on a mission. If you’ve tested your powers to see how far you can go, or different ways you can use your abilities, then you’ll be able to find more ways to use them on missions. That’s how I figured out that I could teleport, after all! That was a very weird day. Side note: Apologies to that Australian person I accidentally teleported behind. That was my bad. I had no clue what I was doing. Sorry. Meet new people. People with powers come from all over the world, from very different backgrounds, and unique powers. Step out of your comfort zone and meet new people. I got to meet an elderly man from China who could speak with animals, and he introduced me to his pet panda. Plus, he taught me Chinese! It’s fun to meet new people and learn their histories. But also make sure not to be too invasive with your questioning. Everyone else wants to keep their secret identities under wraps, too. Bring food with you. I guess you should probably bring money too, in case of emergency, but food is more important, am I right? Seriously though, you don’t always know how long you’ll be at HQ or if you be able to go get food. I can teleport, but if you can’t, definitely bring food. Explore IDIA. It’s good to know the layout of HQ, so that you’re prepared for emergencies. Just be careful where you explore, because there are a few off-limits areas, and you could get in very big trouble. There are also a few really dangerous areas, too… so maybe you should explore with a lot of caution. Have fun. IDIA is a place where you can spend time with other superheroes, and you can be yourself and use your powers. Have some fun with that! Sneak up on other heroes, pull pranks, try to find Anvil’s secret stash of homemade candy… Have fun with your powers and your new superpowered friends! And if you actually try to find Anvil’s candy stash, watch out for booby traps and lots of pointy objects. And those are my six tips for new superheroes! Did you guys like these? I’ve had fun taking over the blog, so maybe I can convince C.B. to let me present the winner of the IDIA Fan Creations Contest. Don’t forget that today is the last day to submit. Got any questions to ask me? Comment below! Hullo, everyone! I’m so thrilled to tell you that today is Twinepathy’s 1st birthday! It’s been exactly one year since I published the book, and I can’t believe it’s been out so long! So enjoy today’s celebration post, and the launch of the IDIA Fan Creations Contest! It had been a long week, and all I wanted to do was sleep. My desk had somehow filled with hundreds of papers, and I was afraid that if I moved one, the whole pile would come crashing down. Benedict had tried to keep up with it all, but even he couldn’t keep it all in line. I glanced at the time on my laptop. Only a minute until midnight. If I’d had my wish, I would’ve been in bed several hours ago, but I had yet to finish the section I’d planned out for today. Maybe I shouldn’t use sleep as a reward for writing, but it seems to work. I sigh as the clock hits midnight. Honestly, I did forget. With all of the editing and other craziness going on, I hadn’t thought about Twinepathy at all. How in the world had it already been a year since it had been published? “Yeah, I kind of forgot,” I admit. Well, hello, wonderful fan people! I’m Blaze, and I’m going to be hosting the first ever IDIA Fan Creations Contest! I mean, I’m the obvious choice, right? To start off, I’ll tell you that anywhere you see words in this color, it’s C.B. speaking. She’s also supervising me for unknown reasons, and insists that this has to start out organized. Here’s how the contest will work! We’ll be open for submission (any kind) up until July 31st. After that, C.B. will spend a day or two (or as many as needed, since the beginning of August is going to be crazy for me) gathering everything together, and then all of you will be able to vote on who wins! One first place winner will be chosen, and everyone who participates will receive a short story featuring Denver and me! And just so you know, that was my idea. You’re welcome. Below is a basic summary C.B. put together, and you can comment below if you have any questions! You can also ask for me to answer them, specifically, and we’ll hope C.B. lets me. Oh, and before I go, there are these cool things going on right now called the Silmarillion Awards, and I got nominated for the Most Epic Hero Award. So if you wouldn’t mind going over there and seconding that… After you finish this post, of course. Blaze out! The number of submissions is unlimited! You are welcome to submit as many different creations as you want. Please keep all submissions clean! No cussing, inappropriate romance, etc. When in doubt, leave it out or ask! Submit your creation using the form below. If you are not posting your creation online anywhere, just put “None” in the link section, and I’ll send you a reply email asking for your submission. Also, make sure and check whether or not you want your artwork to be displayed on a special fan creations page! Comments, Questions, Suggestions, or Concerns? I’m super excited about this, guys! Are you? Do you have any ideas yet? Any questions? Comment below and chat with Blaze! Hello, friends! It’s the start of a new week, which means it’s the start of something else, too! That’s right, the Indie Author E-Con starts today! I’m so excited, and I hope you are, too! I’ve been going through a lot of the pages, and there’s so much! If you’ve created a cosplay picture for Twinepathy or any other indie book, you can add your link on the cosplay page here, and if you have any fanart, you can post a link to it on the fanart page. (Here’s a hint: you can use a dollmaker online to create your favorite characters! This one is super fun, and the site has a ton of different dollmakers!). If you’re a writer, you can join in on the weeklong word war, too! And I have some cool stuff going on today, too! There’s an awesome Q&A where you can ask me any writing-related question you want, and there is also a post I wrote about plot twists, which you can read here. Plus, don’t forget to head over and vote on the 2017 Indie Book Awards! Enjoy the Indie E-Con, my friends!